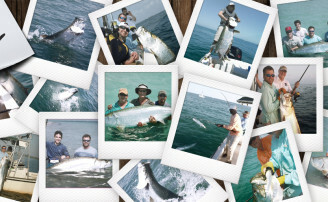 Tampa Bay Shark fishing is truly world class. 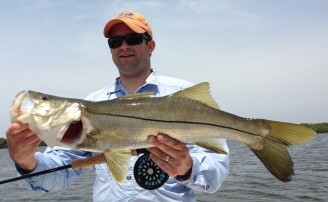 Tampa bay is recognized as one of the world’s most Shark infested waters, which is great news for anglers. In the Bay and in the Gulf there are Sharks everywhere, And they are very willing to bite a chunk of fish. 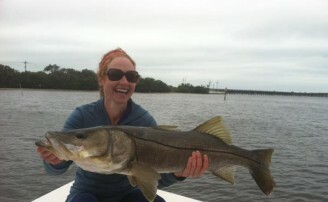 Some of the more popular and easy to catch species are Blacknose, Spinner, Blacktip, Lemon, Bonnethead and Nurse Sharks. 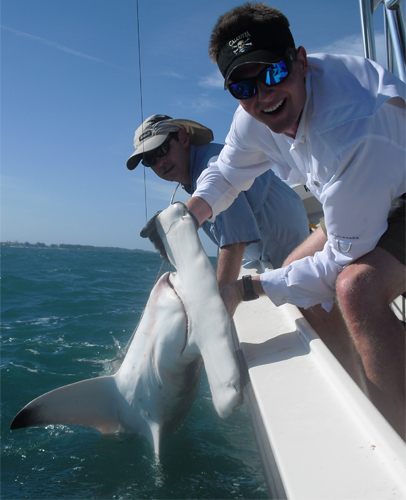 Some of the larger common Sharks to the area are Hammerhead, Bull, and Tiger sharks. Some of the largest Hammerhead Sharks caught in the area can reach nearly 1400 pounds and are often seen to eat whole full grown Tarpon. There are dozens of other kinds of Sharks that frequent the area including Mako and White sharks farther out into the Gulf.